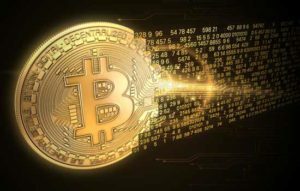 The price of Bitcoin (BTC) has dropped nearly 50% so far in 2018, but Money Morning Defense and Tech Specialist Michael Robinson projects big things are about to happen for Bitcoin. His BTC price prediction projects prices could soar a whopping 1,544%, jumping from $6,079.78 to $100,000 per coin. You see, it's still early in the cryptocurrency revolution, so now is not the time to panic and sell. That means Bitcoin has been around for less than a decade. Inspired by BTC, there are now more than 1,600 crypto coins trading on CoinMarketCap.com, with a total market capitalization of $245 billion. Fintech platforms like Square Inc. (NYSE: SQ) and Robinhood are in a competition to add crypto-buying options for their customers. The Winklevoss twins of Facebook Inc. (Nasdaq: FB) fame want to launch a Bitcoin ETF. If it is approved, retail investors would have a convenient way to enter the crypto market. Not sure 100k is at reach this year but next year definitely, people saying it's had a bad year, it hasnt its retraced to much higher than it was a year ago. Bitcoin does this regularly in cycles but gets higher everytime. This year by Xmas I predict 30-50k easy then a sell off, the whales sell the newcomers panic sell and they buy them back again cheaper, but still well up on the year before. Thanks Anthony for the bold prediction. I cannot afford an entire share, at least not what Coinbase has, but I can buy into a share. Thanks for the confidence and I, too, feel that Bitcoin is really on the rise and is a great investment opportunity. Thanks again.